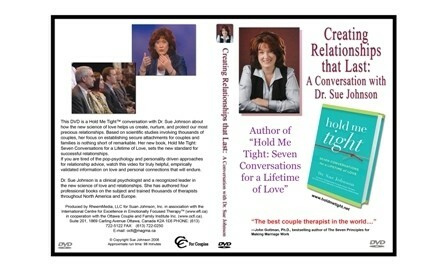 This DVD is a Hold Me Tight conversation with Dr. Sue Johnson about how the new science of love helps us create, nurture, and protect our most precious relationships. 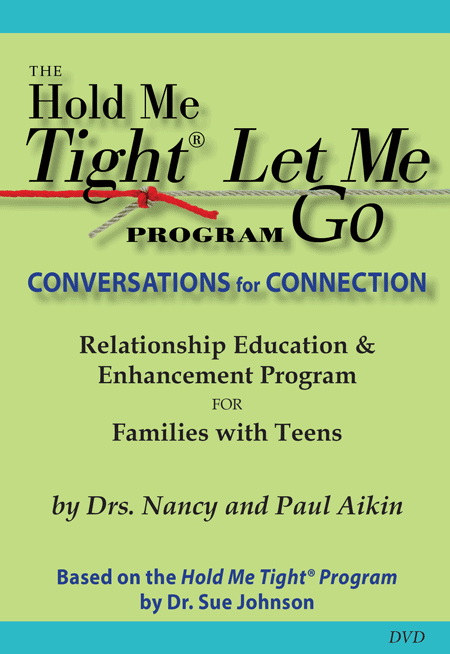 Based on scientific studies involving thousands of couples, her focus on establishing secure attachments for couples and families is nothing short of remarkable. 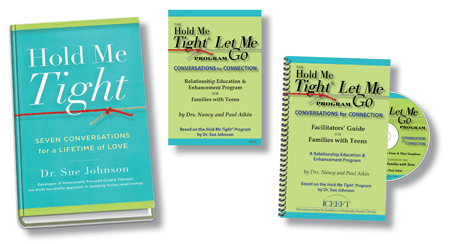 Her new book, Hold Me Tight: Seven Conversations for a Lifetime of Love, sets the new standard for successful relationships. If you are tired of the pop-psychology and personality driven approaches for relationship advice, watch this video for truly helpful, empirically validated information on love and personal connections that will endure. Dr. Sue Johnson is a clinical psychologist and recognized leader in the new science of love and relationships. She has authored four professional books on the subject and trained thousands of therapists throughout North America and Europe.